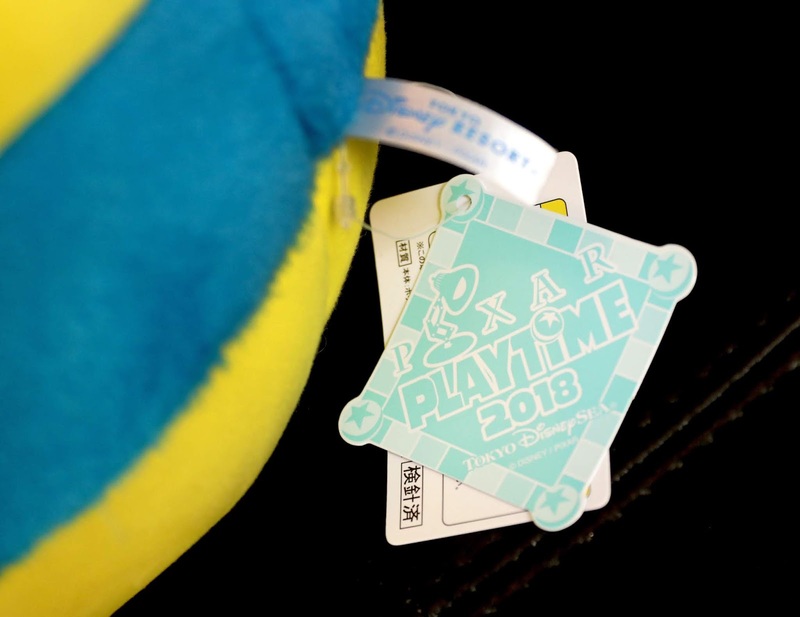 The "Pixar Playtime" event took place earlier this year during the weeks of January 11th-March 19th at the Tokyo DisneySea park. Think of it as Disneyland Tokyo's version of the US Pixar Fest happening right now at Disneyland and California Adventure. And just as with any big Disneyland event, there was TONS of really cool exclusive merchandise—including my personal favorite, this Pixar (Luxo) Ball cushion! 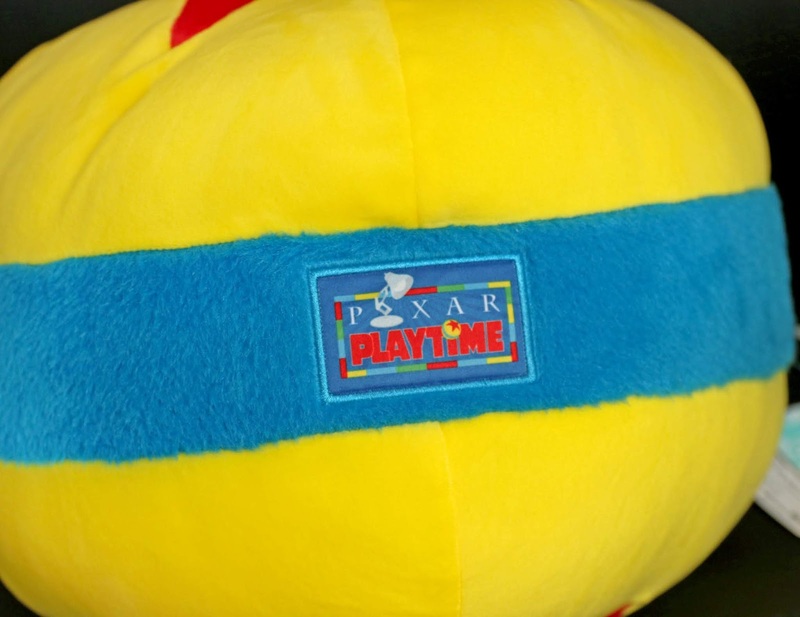 It's crazy this hasn't been produced until now, though I honestly never even had the thought that the Pixar ball should be made into a pillow. Now it seems obvious! It's something I never knew I needed until I saw it and I hope it becomes available in US so that more Pixar fans can add this to their collection. This is a must have. Note: To see the full range of exclusive Pixar Playtime merch that was available, check out this YouTube video HERE by TDR Explorer. The size of this cushion is about 9.8" H with the diameter being around 12.5". 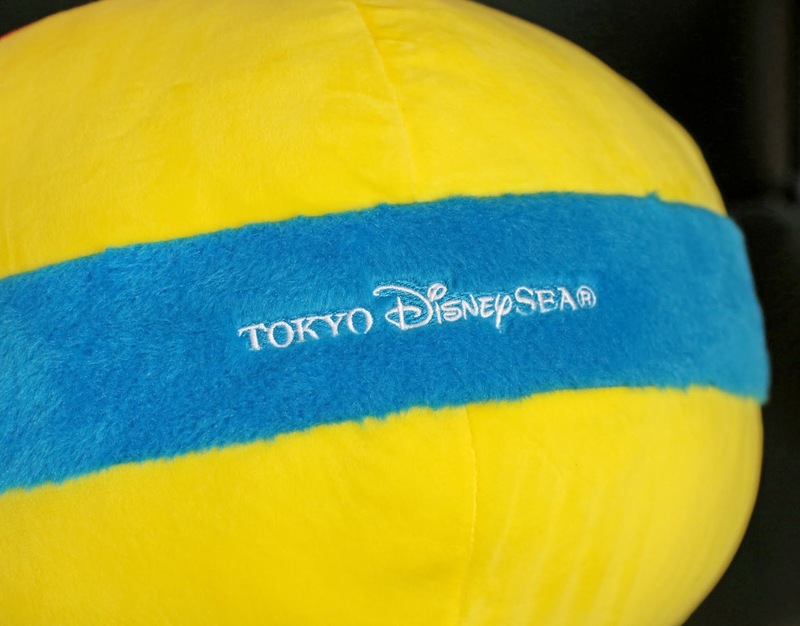 The Pixar Playtime and Tokyo DisneySea logos are embroidered on the sides. The entire thing is super soft and cozy. I obviously didn't attend the event in Tokyo, so I had to resort to eBay for this one. I paid around $45 and free shipping, but I'm not sure what the original price in US dollars was. Either way, I figure I got a pretty good deal, especially considering they seem to be all sold out at this point. I'm glad I snagged it on there when I did! 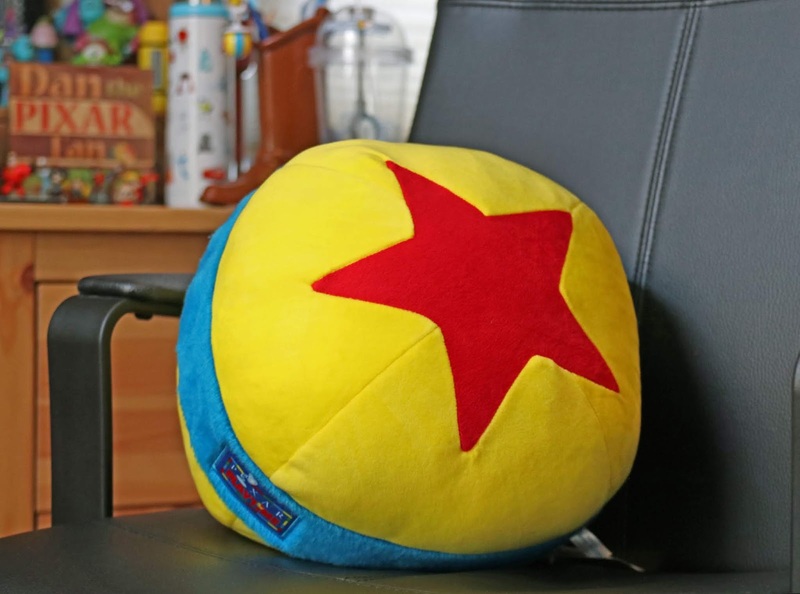 This pillow makes the perfect addition to my Pixar themed home office and will live/be displayed proudly right on my office chair. It adds yet another fantastic pop of color to my room, not to mention how iconic this design is. This thing is made for a Pixar room like mine to help take the Pixarness up a notch. Keep checking eBay as more new listings might pop up! Be sure to let me know your thoughts in the comments below. Have you picked one of these up?